So it wasn’t a fluke then. 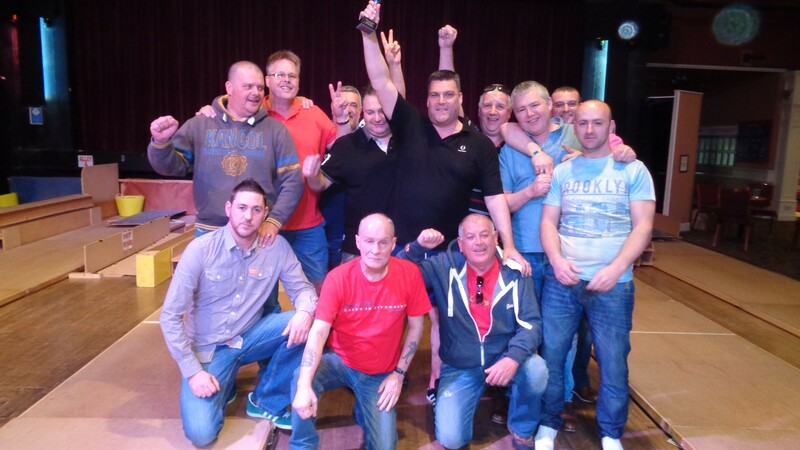 Cardiff’s Rumney Rebels have claimed a second consecutive victory in a major inter county skittles competition beating off opposition from Gloucestershire, Somerset, Dorset and Wales. Forty four teams converged on Sand Bay at Weston Super Mare for the tournament staged by Serious About Skittles who also organise the Butcombe British Skittles Championships. The Rumney Rebels won their group, going through to the final round where ten teams were poised for battle. It was a close affair with the Rebels scoring a total of 429, beating their nearest rivals the Ely Bluebirds 1 by just five points. Captain Mark Baldwin was ecstatic about their victory. ‘After winning for the first time last year after 20 years of trying, we never imagined we could return and pull it off for a second year in a row. The team are regulars in division two of the Cardiff and District Skittles League.